ENTERPRISE CONNECT - Otter.ai, creator of Otter, an AI-powered real time transcription and collaboration service, powered Zoom Live Transcription, demonstrated on stage by Zoom Video Communications, Inc. at Enterprise Connect. Zoom announced that the company will make this feature available to Zoom customers in the third quarter of 2019. 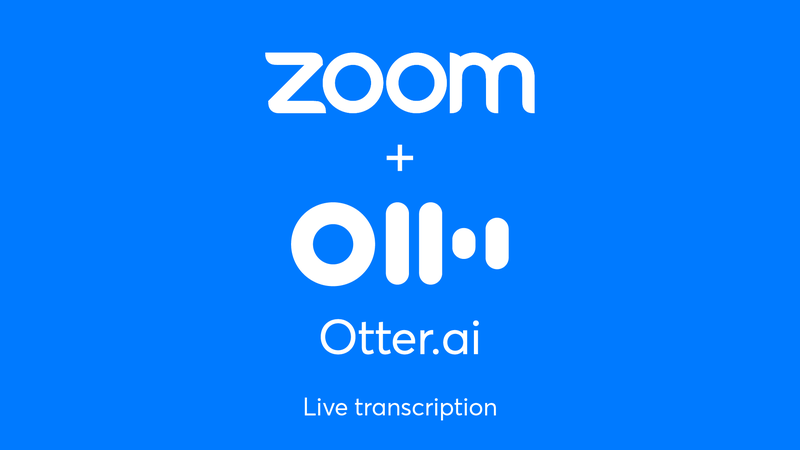 “Adding support for live transcription to Zoom expands the corpus of meeting content transcribed using Otter.ai technology, which already exceeds six million hours of voice conversations. 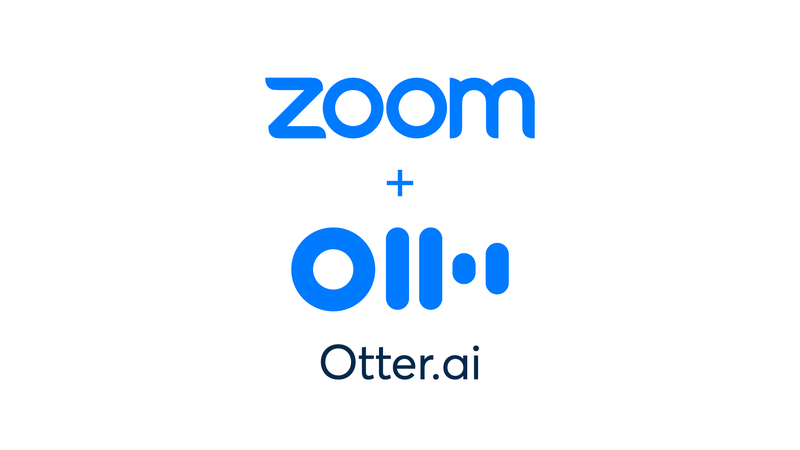 Today’s demonstration with Zoom expands on our collaboration and highlights how AI-powered applications are redefining productivity and the future of person-to-person engagement,” said Sam Liang, CEO and founder of Otter.ai. In addition to live transcription, Otter supports streaming real-time sharing of transcripts with members of Otter Groups that may be public or private. This capability has been evolved further in Otter for Teams, which launched last week. Streaming transcription and public group capability powered by Otter was used by TechCrunch Disrupt 2018 to transcribe all keynote presentations and other sessions in real time and create searchable notes of what was said. The technology has also been used at a number of other high-profile events including VentureBeat Summit, and Web Summit. Otter is being used for live transcriptions in the Enterprise Connect Exhibition Theatres at Enterprise Connect 2019. Live transcription in Otter is being adopted by users at a large number of universities, financial companies, media agencies, government bodies and other enterprises. Live transcription fulfills a variety of user needs. It makes lectures and meetings accessible for users with auditory processing challenges or for whom English is not a primary language. It supports multitasking for users who can monitor what is happening at a meeting or presentation and join when they spot something of interest. Otter users joining a meeting late, or unable to attend, can quickly catch up with what was said. Live transcription has been extended in Otter for Teams which supports collaborative real-time highlighting of what is being said. Future enhancements to live transcription in Otter will add annotation, editing and automated speaker identification to the real time feed. Visit otter.ai/teams to learn more. Otter is demonstrating real-time captioning and Otter for Teams at Booth 1938 at Enterprise Connect. Otter.ai creates technologies and products that make information from important voice conversations instantly accessible and actionable. The Otter app uses proprietary artificial intelligence (AI) to generate sharable, searchable, rich notes that combine audio, transcription, speaker identification, inline photos, and key phrases. The Otter app has been recognized by Google's PlayStore as a Best App of 2018, featured by Apple as a "New App We Love", and ranked by Fast Company as one of the Best Productivity App of 2018. Otter.ai is backed by the first investors at companies like Google, Tesla, DeepMind, and Facebook. Its team includes top engineering and research talent from the likes of Google, Alibaba, Facebook, Uber, and Nuance. Follow Otter.ai on Twitter, Facebook or LinkedIn. Download Otter Voice Notes from the Apple App Store, Google Play Store, or access by logging in on the web at otter.ai.